The people who make ground breaking clinical trials happen have been honoured. These are the people who save and improve lives across Australia and around the world by funding, designing, conducting or participating in clinical trials. 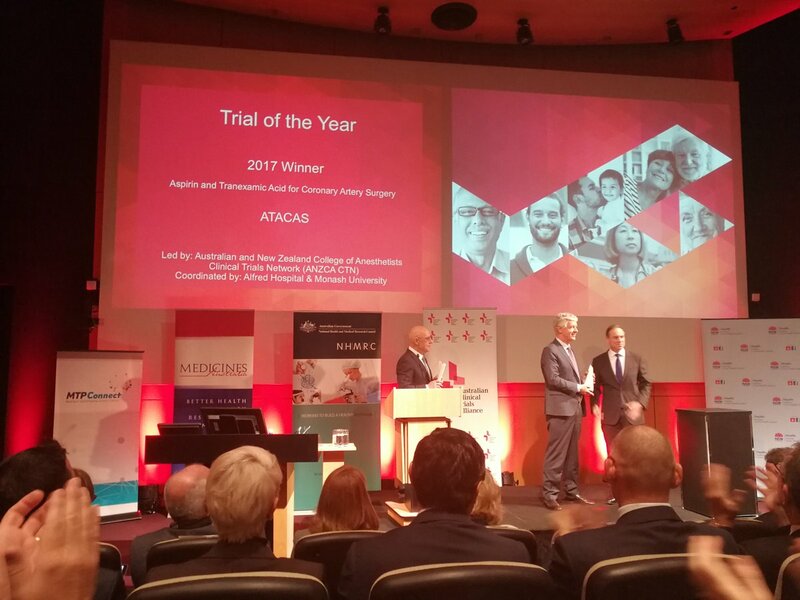 As a continuous and dedicated supporter of all cardiothoracic and vascular surgery clinical trials conducted with patients undergoing heart and lung surgery at RPAH, it is our great pleasure at The Baird Institute to report that the ATACAS trial is the winner of the 2017 ACTA Clinical Trial of the Year Award at the recent Clinical Trials 2017 National Tribute and Awards Ceremony. The ceremony recognised the significant advancements and improvements made to the health of all Australians through clinical trials.